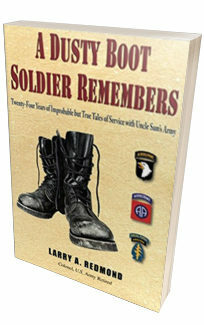 Colonel Larry Redmond, U. S. Army (RET), was commissioned a Lieutenant of Infantry in 1962 upon graduation from Providence College. During the next twenty-four years he served in various command and staff positions with the 101st Airborne Division, 8th Special Forces Group Airborne, XVIII Airborne Corps, the 82d Airborne Division and other Special Operations units. He commanded Airborne soldiers at platoon, company and Special Forces “A” Team and Infantry Battalion levels. He served two combat tours with the 101st Airborne Division. His overseas assignments included Panama, Thailand, England, Israel and two tours in Vietnam. Mr. Redmond holds a bachelors degree, two masters degrees and is a graduate of the Navy Command & Staff College and the British Royal College of Defence Studies. He holds the Silver Star, two Bronze Stars, the Purple Heart, the Combat Infantryman’s Badge, the Expert Infantryman’s Badge and numerous other awards. He is a Master Parachutist, a Vietnamese Parachutist and a Brit Para, and was Ranger and Special Forces qualified. He is a Distinguished Member of the 327th Regiment, the 505th Regiment and is a member of the Special Forces Regiment. 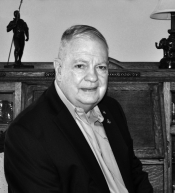 Following his military service he worked as an Ombudsman for then GTE Government Systems and later General Dynamics Communications Systems representing those corporations with Army, Marine and Special Operation units around the country. Mr. Redmond is now fully retired and lives in Poinciana, Florida, with his wife of fifty-three years, Mary Elizabeth Devlin of Boston. They have three grown children. He remains active in many military organizations.